In 1886, Irish-born William Harnett was arrested by New York police for displaying one of his paintings. His depiction of a five-dollar bill was so realistic he was charged with counterfeiting and scolded for wasting his talents on such endeavors. Clearly Harnett was a talented trompe l’oeil, or “trick the eye,” painter. 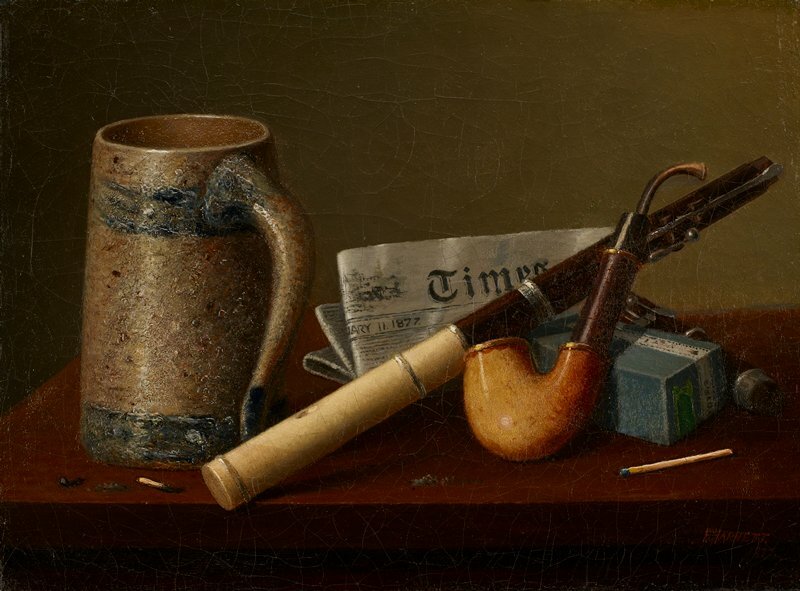 Still-life with Flute and Times displays the same convincing deception: the mimetic stoneware texture of the stein and the thin, raised rim of the pipe bowl are created through meticulous layering and build-up of paint.